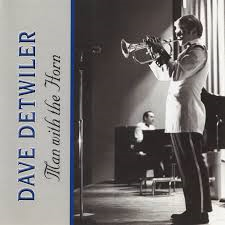 Dave Detwiler continues to be one of the most highly sought after “first call” lead trumpet players and music educators on the east coast, his career spanning over 32 years. As a music educator, Dave has managed a thriving trumpet studio for over 40 years. Many of Dave’s students have earned trumpet scholarships at major universities and conservatories – some have even pursued professional careers in music. He has received several Virginia State Teachers awards while instructing at the high school and college levels, including an Outstanding Teacher award while serving as Director of Jazz at Georgetown University – a position he held for 14 years. After attending Valley Forge Military Academy on a full music scholarship, Dave attended The University of Pittsburgh where he was a standout performer in the concert band and Pitt jazz ensemble under the direction of Dr. Nathan Davis. In 1973 Dave joined “Pershing’s Own” in Washington, D.C. where his career flourished for more than 26 years. As a lead player and jazz soloist with the Army Blues, Dave recorded and traveled throughout the United States and abroad. In addition to performing at the White House and other official concerts in and around Washington, D.C., Dave was also the featured trumpet soloist for numerous U.S. Army Concert Band performances, including tours of Europe, Japan and Australia. During a tour of Sweden in 1990, one of Dave’s performances prompted the front-page headline to read, “The World’s Best Trumpeter” in the Strengnas Daily News. Dave appears regularly with the National Symphony Orchestrea and has performed with The New York Philharmonic, Aretha Franklin, Ray Charles, Barry Manilow, Al Jeareau, Frank Sinatra, Natalie Cole, Harry Connick, Jr., and numerous others as a local Washington Music Union member. Dave can be seen performing in shows at The Kennedy Center, Wolf Trap, The National Theatre, Nissan Pavilion, and on the annually televised “Christmas in Washington”, Kennedy Center Awards, National Memorial Day Concert, and A Capitol Fourth.